Rachel and Stephen's revolving cocktail hour reception exuded a light, easy and party filled atmosphere! 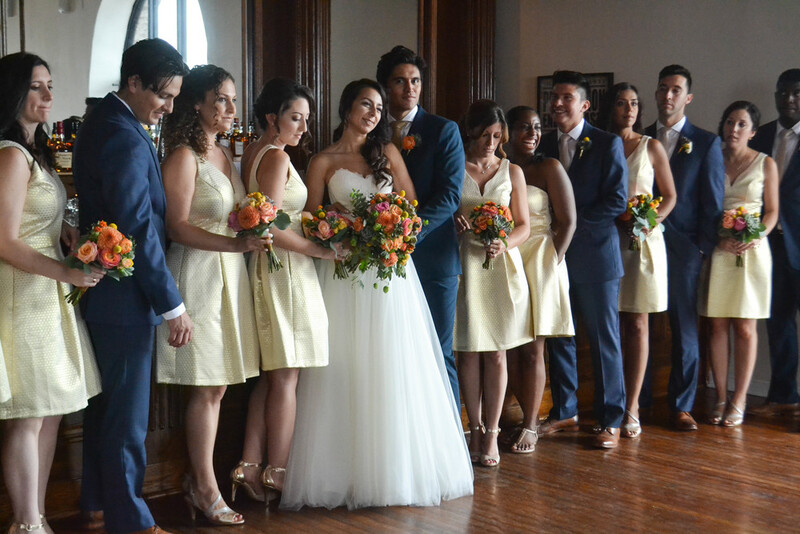 The Bride and Groom were interested in incorporating elements of their Mexican and Jewish heritage in the decor and styling for their wedding and reception at the Liberty Warehouse. The ceremony was complete with a chuppah hand-built by the father of the bride and white Papel Picado criss-crossed the warehouse ceiling. 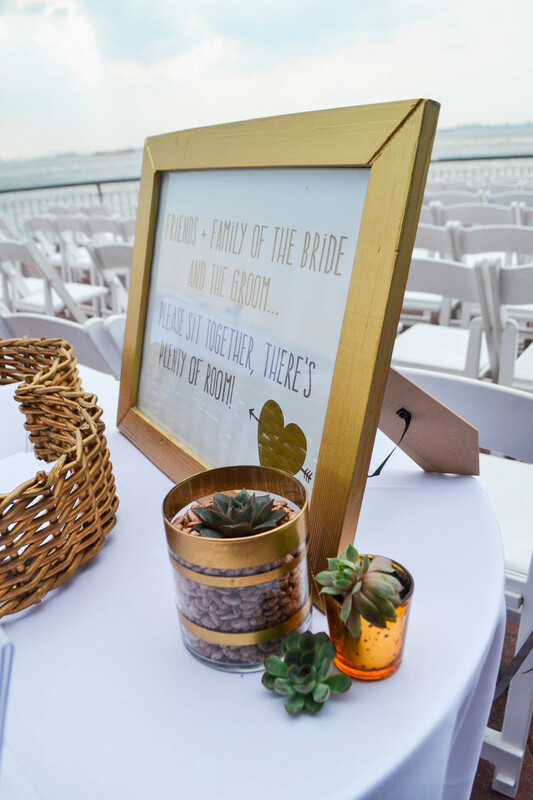 The florals were composed of a desert palette of subdued oranges, yellows, and pinks with succulents popping up everywhere and even dotting the bouquets. 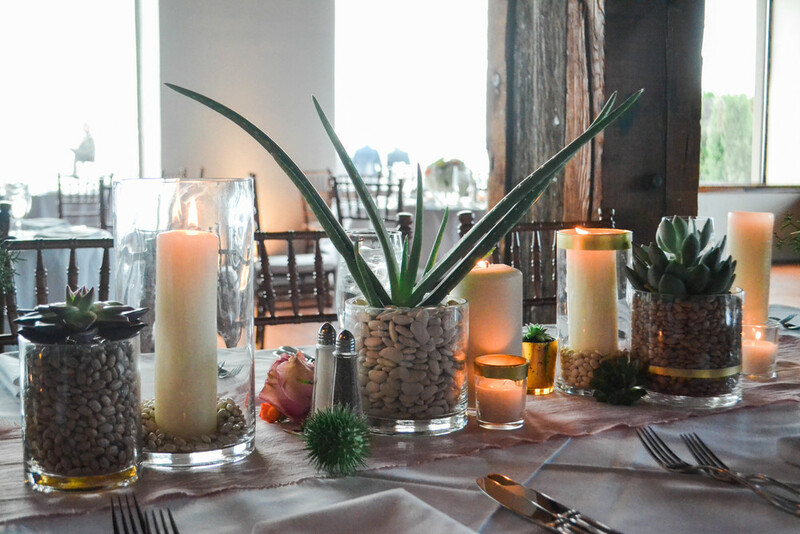 We played up this look by adding tons of pillar and votive candles. Set off by shimmering gold accents on votive candles, vases, frames and various details, the ambiance was warm and luminescent. Faded blush-pink toned linen runners (hand-dyed using veggies and beets!) were laid down the center of the long rectangular tables. 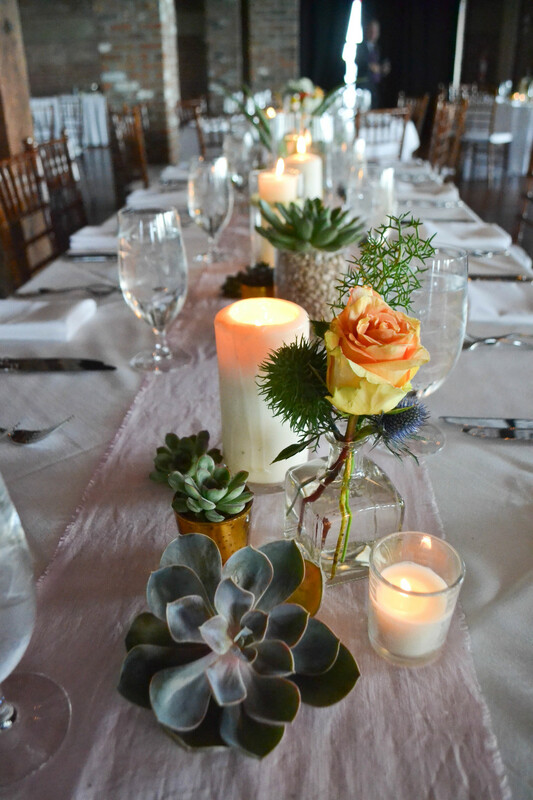 We then filled the table using a mix of candles, bud vases and succulents in various sized vases, some with hand-painted gold trim. The succulents and candles were surrounded by various types of beans, including pinto, lima and navy beans (which are surprisingly white)! 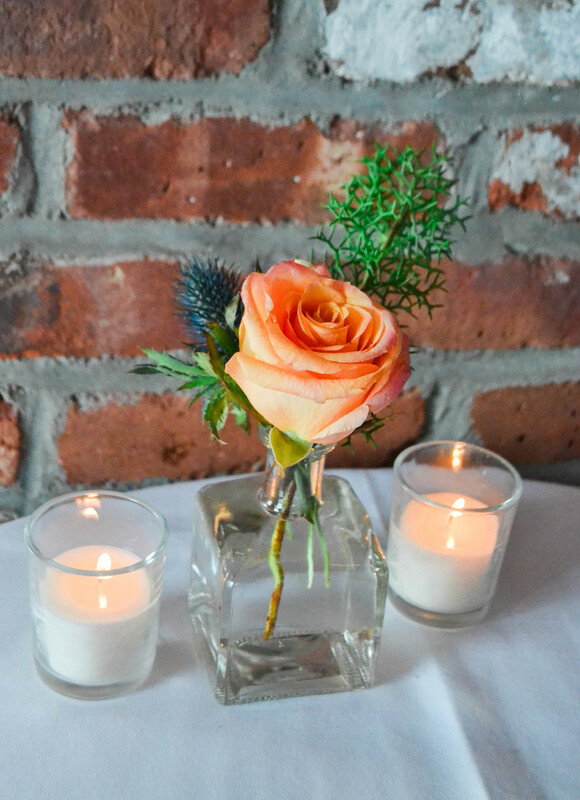 For some of the round tables, we used a mix of orange dahlias, various shades of roses, cockscomb, slate blue thistle and succulents in clear glass vases. The combination of the pale light tones with the gold accent made for a fun and stylish tablescape. It was such a fun wedding to work on! Congrats Rachel and Stephen on your beautiful celebration!